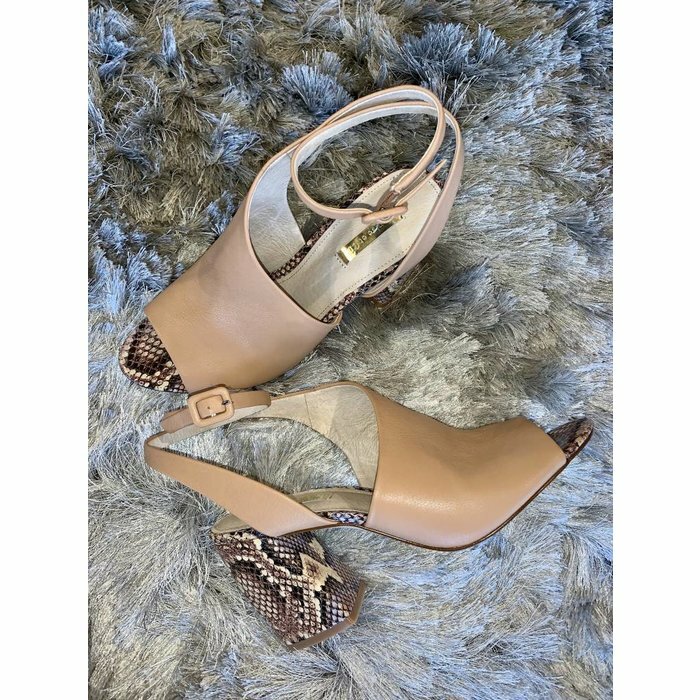 Advance your style with the Kyvie Snake shoe. Rounded block heel. Wear with a pair of shorts or dress up with an asymmetric midi.